Send Us Your Questions and Stories for an Upcoming Series On Workforce Shortages In N.H. The Exchange is working on a series of shows about workforce shortages in New Hampshire. New Hampshire boasts one of the nation’s lowest unemployment rates, but the state is also facing a serious workforce shortage. The Exchange will spend several shows exploring how we got here, the sectors and regions most affected, and discussing possible solutions. What does New Hampshire need in order to attract, and maintain, a more robust workforce? Are you struggling to find qualified candidates to hire? 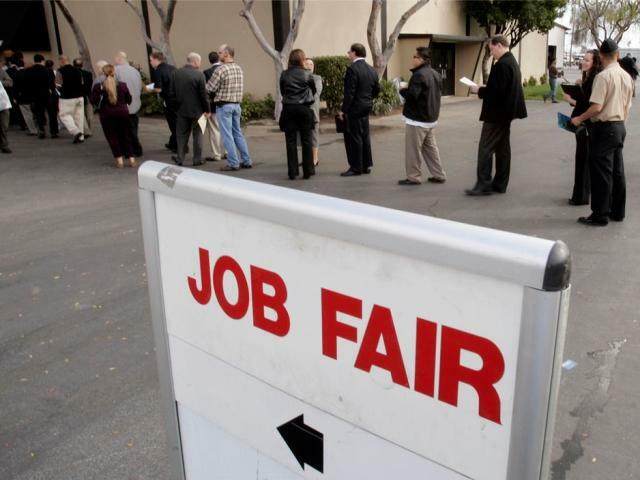 Are you having trouble finding a good job in New Hampshire? What particular barriers to employment do you see in your industry (such as healthcare, skilled labor, and tourism)? What examples of good workforce recruitment have you seen? If you left the state or work outside of New Hampshire because you couldn't find a job here, why? Submit your stories and questions below. You can also email exchange@nhpr.org, or leave us a voicemail: 800-892-6477. You Asked, We Answered: Can Minimum Wage Workers Afford Rent In New Hampshire? New Hampshire’s minimum wage is the lowest in New England. It's the same as the federal rate: $7.25 an hour. Meanwhile, Maine sets its minimum wage at $10; Vermont, at $10.50; and Massachusetts, $11, is on the way up to $15. New Hampshire is surrounded by states with a minimum wage of $10 or more. How do higher wage commuters impact rents along the border?